Use Little Bus Co minibus hire, based in Worcester, for one off trips or regular travel arrangements. 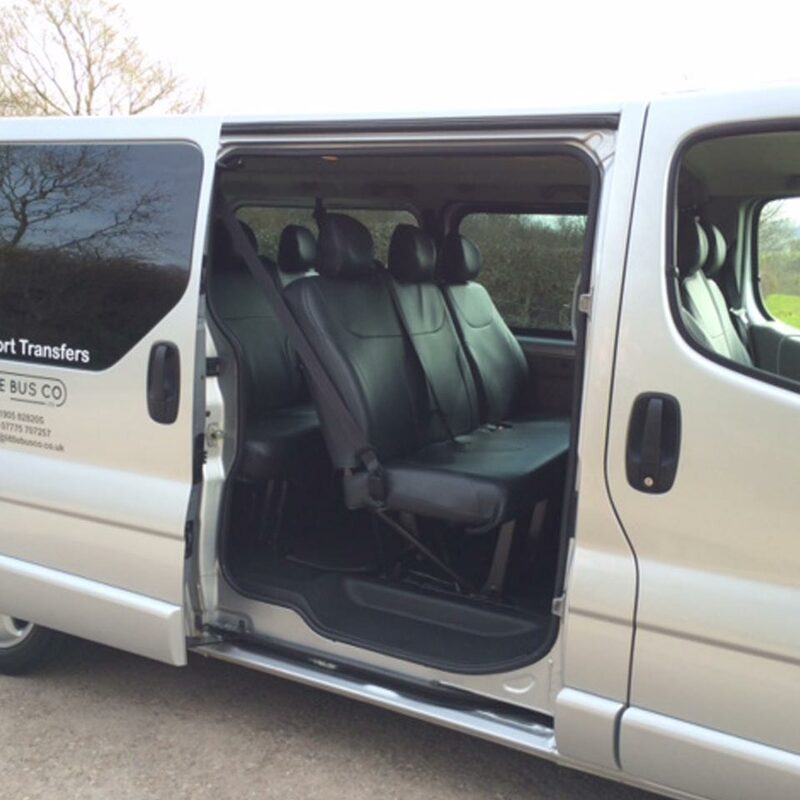 Our minibus is air-conditioned with privacy glass and can comfortably seat 8 passengers plus a large boot – ideal for transport from and around Worcestershire and surrounding areas. Going on holiday or a business trip abroad? Let us to take the hassle of driving and parking with Airport transfers and Ferry Terminal transfers. If you need a professional business travel service for your clients or colleagues to cover business functions such as meetings, hotels and restaurants we can help. Do you have a Conference, AGM or Exhibition coming up?. Book now for delegates to travel to venues across the UK. Fancy getting away on a day trip. Book us for your shopping trip, theme park, sporting event or any getaway. Call today or use the booking form and don’t forget to check out the Offers page for great deals on local restaurants and attractions. Wedding transport. Do you need transport for your big day?. Our friendly, courteous drivers will be there to get your guests or wedding party to the venue in style and on time! Multiple venue collections and drop offs are available on request to contact us today for your free quote. That’s one less thing to worry about.